According to a recent survey, nearly 45% of people are planning to take a short break this year and 29% of holidaymakers are planning on staying within the UK this summer. 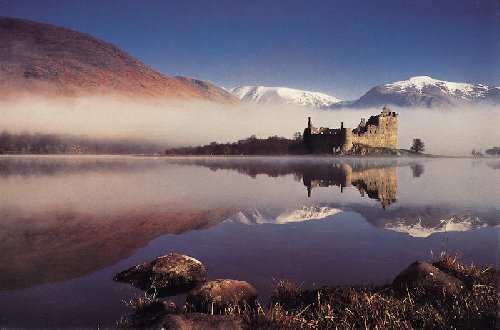 From lochs to lighthouses, Scotland has much to offer those thinking of taking a short UK break. Before booking a break, you should research the area. Some of the most beautiful places like Durness are also among the remotest, requiring a train and at least one bus to get there. Some of the most popular attractions can also take a while to travel to and are only on during certain times of the year. Deciding what you want to see in advance will ensure that you don’t miss out. Visit Scotland’s website can help you decide what to see and do during your stay in Scotland. Scotland has a variable climate throughout the year. In January, the maximum temperature averages around 6°C, while it reaches 19°C on average in August. The east of Scotland tends to have a milder climate so beaches like Sandend are popular destinations during the summer months. Between December and April is the snowsports season, so this is the best time to plan a short skiing holiday to popular resorts such as Aviemore. Although you’ll need to wrap up warmly in the winter, the wind and cloud can add to the wonderful atmosphere when viewing the wilds of the Highlands. Due to the latitude, daylight lasts only for a few hours in winter. Occasionally, you can see the Northern Lights in places like the Isle of Skye or Sutherland, where there is no light pollution. Some of the northern parts such as Caithness and the Orkney Islands also have twilight throughout the night in the summer months. These small insects are found throughout Scotland in the summer months. In large numbers, midges can make even a short break very uncomfortable. You can check online at the Scottish Midge Forecast for midge activity. Insect repellent is recommended, particularly for the Highlands. Some managers have machines to prevent midges from invading their hotel or bed and breakfast accommodation. Self-catering holidays are the most popular choice when visiting Scotland’s scenic regions like Perthshire. Hiking and camping are also very popular in Scotland’s Highlands, but preparation and research are imperative given the seclusion of many areas and the temperamental climate. Early booking increases the chances of getting the right kind of accommodation to suit your needs. Even in large cities like Edinburgh, accommodation is booked up very quickly during busy seasons such as August when the Edinburgh Festival takes place. Many Scottish cities have good public transports systems. Train lines extend throughout much of the country and have links to ferries that travel out to nearby islands. While the Highlands have coach and bus routes, you’ll need to check bus timetables before you go out into this region, as some routes only run a few times a day. Although transport links can be sparse in the northwest region of the Highlands, you can explore the area using one of the many bike tracks and foot paths. If you’re a keen driver, Scotland has some of the best driving roads in the UK. Travelling through the countryside by car is a great way to experience the extraordinary landscapes and discover the many lochs, mountains and castles. Fiona is an avid travel blogger and writes for LHH Scotland, leading provider of luxury holiday homes across Scotland.